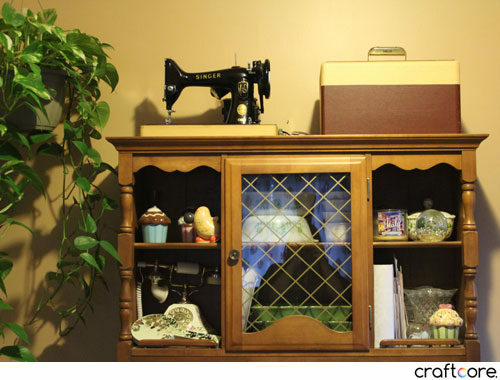 Last year while thrifting I picked up this vintage sewing machine with case. 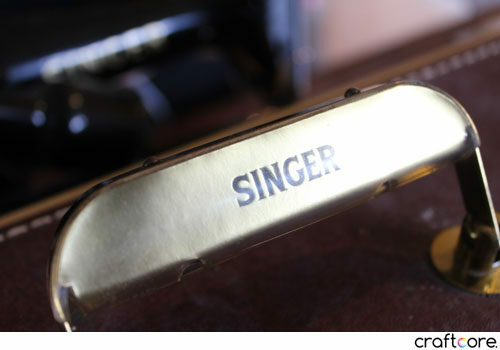 I was instantly drawn in by the case, which had this beautiful Singer handle and a two-colour design in beige and brown. I couldn’t resist bringing this machine home with me. 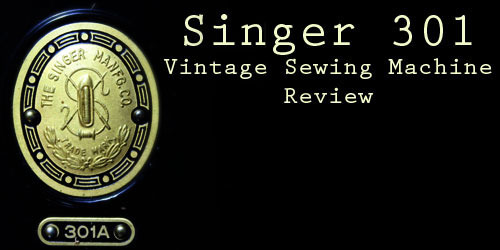 The Singer 99K is the 3/4 size version of the Singer 66K that I already have in my collection. I love having both of these machines because the 99 is like the little sister of the 66. My 66 is in a cabinet while the 99 is fairly lightweight in comparison and is portable. 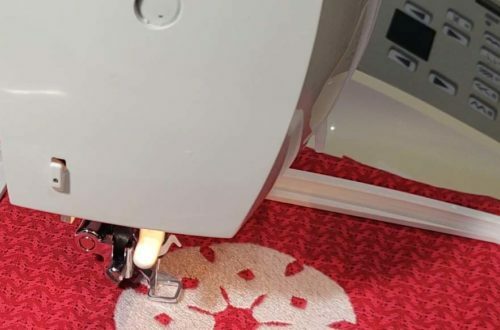 The base serves as both the base of the sewing machine and the base of the case. 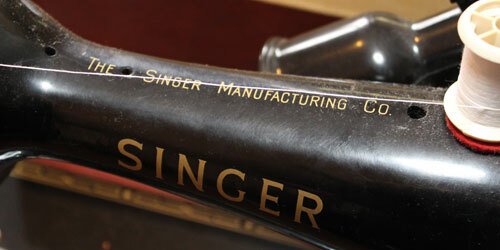 My Singer 99K has the serial number EM927701, which means that the number was allocated in 1957. 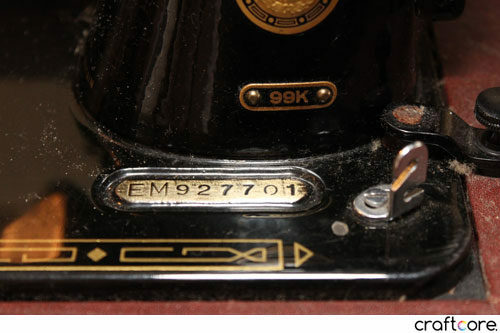 The 99K started production in 1911 and finished production in the late 1950s, so this is a later variation. It has the lever style of stitch length indicator unlike earlier models where you simply had a screw style that didn’t indicate the length size at all. 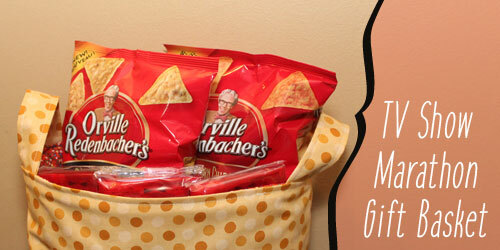 I tested out the machine and it worked great right out of the case with no fiddling required. The previous owner took good care of the machine. 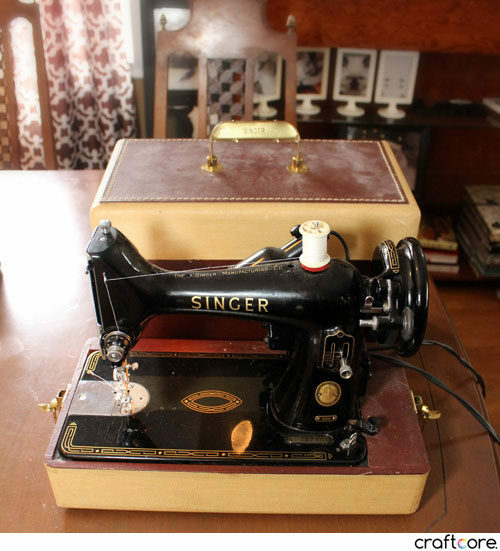 I haven’t used it much because if I am looking to use a portable, I turn to either my featherweight or my Singer 301. I have this machine on display in my dining room. I probably didn’t need to buy this one, but who could resist the Singer 99’s charm? Not me! 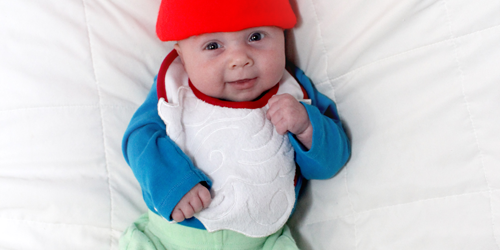 What a great find. Lucky you!